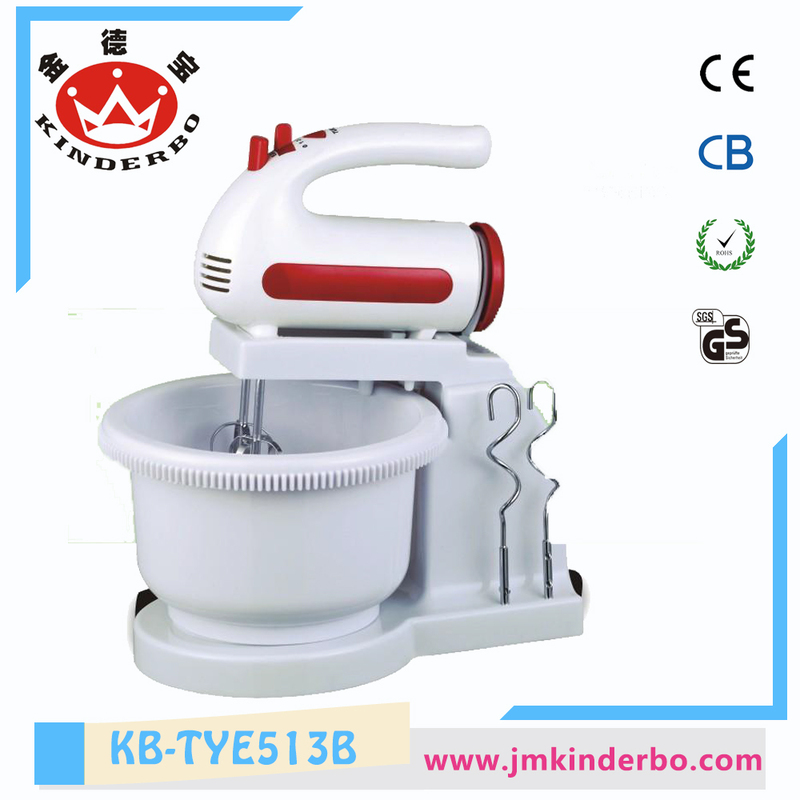 Kinderbo 5 Speeds Hand Mixer is a good electric appliance in kitchen. The hand mix has intuitive ergonomic control and Beater IQ automatically adjusts power to suit what you're mixing. Features an intuitive 9 speed selector, plus boost, with an easy to use scroll wheel is electronically controlled to spin at a precise speed no matter what the load. Accessories include 2 scraper beaters, 2 dough hooks, and 2 balloon whisks which are housed in a storage case which clips under the unit so nothing gets lost. Pause function holds your setting while you prepare or add ingredients. Quick release trigger and swivel cord also featured. Looking for ideal White Hand Mixer Manufacturer & supplier ? We have a wide selection at great prices to help you get creative. All the Hand Mixer with Hooks and Beaters are quality guaranteed. We are China Origin Factory of Kitchen Hand Mixer. If you have any question, please feel free to contact us.